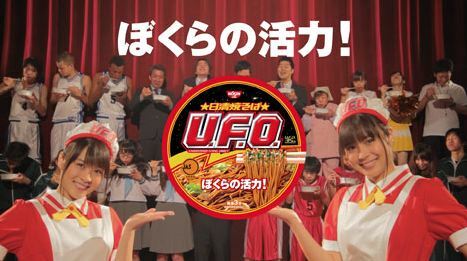 Kitano Kii + Hirose Alice to appear in upcoming "Nissin Yakisoba U.F.O." CM! Actress Kitano Kii and talento Hirose Alice have become the new image characters for Nissin's new "Nissin Yakisoba U.F.O." commercial! In the commercial, the two women will appear in cute waitress outfits as they present their noodle dish to boys who feel down in love and at work, giving them the energy to try again as well as putting a smile on their face. Since these are situations that everyone has experienced at one time or another, the idea is to express it in a "bright, comical way as mistakes that you laugh about without thinking". The CM will air throughout Japan beginning on June 8th. SEAMO to release new mini-album, "ONE LIFE"! Welcome AKB48's fourth team, 'Team 4'!